2418 N. Causeway Frontage Rd. 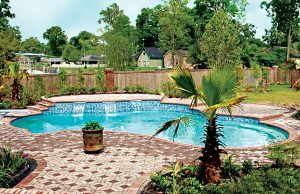 Our St. Tammany pool-construction operation has built and remodeled thousands of inground pools in the parishes of Livingstone, Tangipahoa, and Washington, and throughout the Greater New Orleans region. Our veteran team has earned a reputation for building beautiful pools & spas at the right price and with high standards of craftsmanship. Our Mandeville office makes the process of buying an inground pool convenient for Northshore homeowners. Visit our design center to see our exclusive SmartFeatures™—time- & money-saving gunite pool equipment—up close or to pick out your pool tile or materials for your pool’s perimeter coping and surrounding deck. 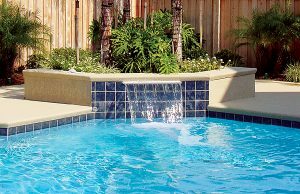 Choosing the right St. Tammany pool contractor to build your backyard resort is a major decision. Toward the goal of making a good choice, it’s critical to know with whom you are doing business. You have many questions to investigate. Which contractors will build you the best swimming pool or renovation? Which ones have an office on the Lake Pontchartrain’s Northshore to better serve you? 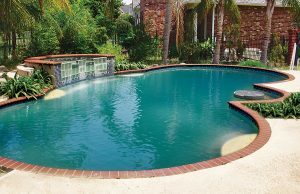 Which ones have a proven track record for constructing quality pools in St. Tammany and the surrounding region? (Blue Haven also operates offices in Baton Rouge and across Lake Pontchartrain for the New Orleans market). Which gunite pool companies will guarantee a project completion date in writing? Which are fully bonded and carry complete insurance coverage for all phases of the work—including for any specialty subcontractors that may be used? Which ones will provide warranties in writing? Another important factor: longevity. You want to feel confident that your pool contractor will still be in business one, two, three, and even 10 years from now. After all, you want them around to honor the terms of any warranties. That’s why candidates you consider should be financially stable with a proven history. When interviewing potential custom gunite pool builders, choose wisely. Here are seven key subject areas about which to ask and evaluate. 1. What is the company’s status with the Louisiana secretary of state? Blue Haven Pools is in good standing—and so should be any company you hire to do work in your home. Look also to see how long the company has been in business. 2. 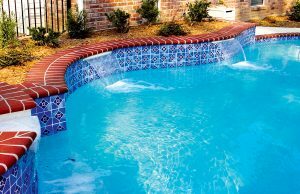 Check out the pool builder on the New Orleans BBB website. It should have an A+ rating. 3. View the company’s Louisiana contractor’s license. Be sure that it is current. 4. Ask for copies of certificates for all of the contractor’s insurance policies—and don’t take “no” for answer. Your contractor should have four active policies: general liability, automobile, property damage, and workers’ compensation. Carefully evaluate each one to check that the limits are set for a minimum of two million dollars. 5. Ask for local pool-customer references. Any reputable home-improvement contractor should be able to provide a list of with the names of both recent and long-ago customers. 6. Scrutinize the sales contract. The terms should address everything that has been verbally represented to you. It should detail all pool dimensions, construction specifications, material specifications, equipment specifications, equipment warranties, and the pool’s structural warranty. Look at all the numbers as well. Make sure the contract outlines start and completions dates, total costs, and payment terms. Payment should always be in phases that tie to specific project milestones. Make sure the language contains a clause that all insurance policies (outlined in #4 above) will remain in effect for the duration of your entire pool construction. 7. What about the terms that impact any disagreement between you and the contractor? How can a serious issue be resolved? For example, does the contract offer a clause for binding arbitration? We would love to have the opportunity to put in a new pool or remodel your existing one—and to do so properly, economically, and quickly. Call us to learn more, or for a no-obligation, in-home estimate and pool plan designed for your backyard.